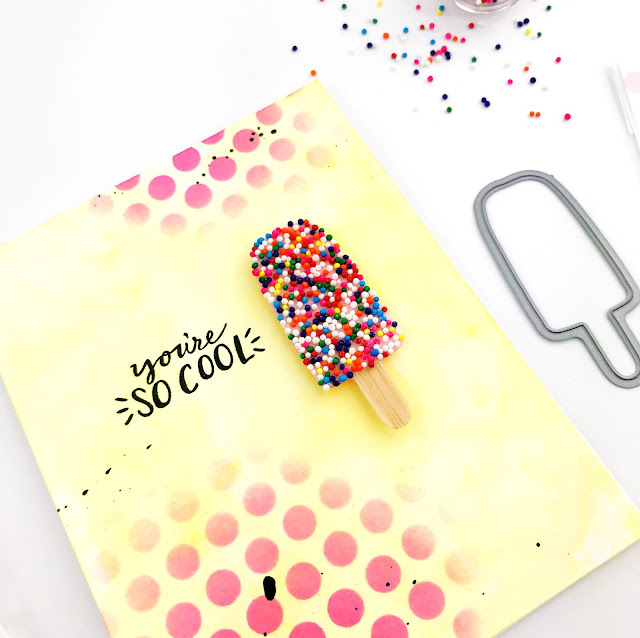 Celebrate summer with a sprinkled ice cream bar card because happiness is rainbow sprinkles even when they are paper! Right?! 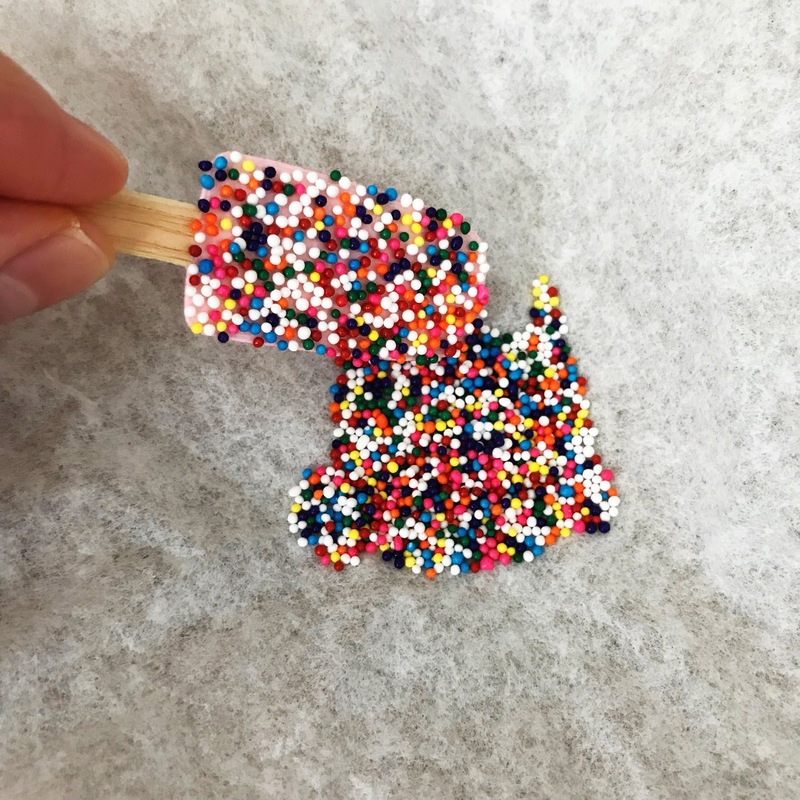 I have a real obsession with sprinkles, in fact the sprinkles in this picture are my "craft room" sprinkles. LOL! 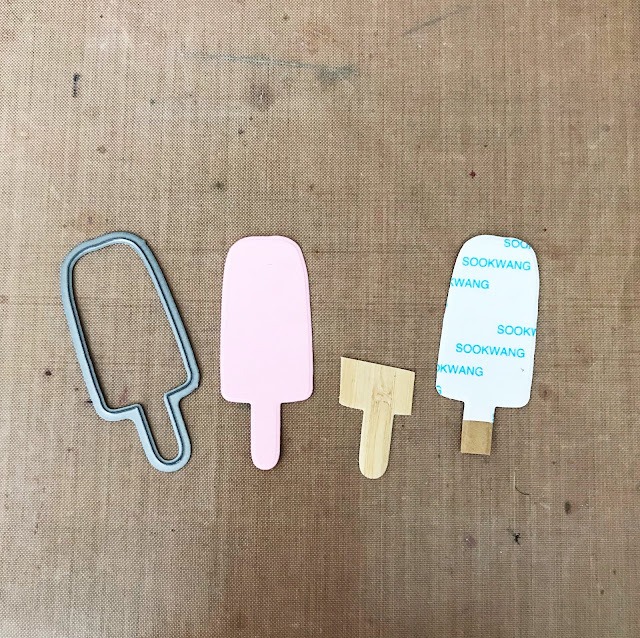 They are made of real sugar but they are perfect for shaker cards and double-sided adhesive! 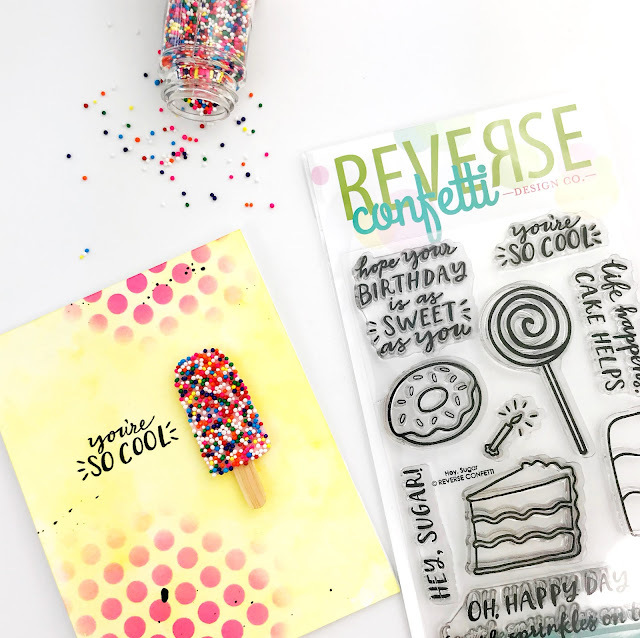 Today I'm super excited to be hopping with Reverse Confetti and our theme in summer! As you can see my love affair with the Hey Sugar and Polka Panel continues! I was going for a yellow polka dotted bikini with my background, using the Polka Panel as a stencil on top of yellow watercolor. 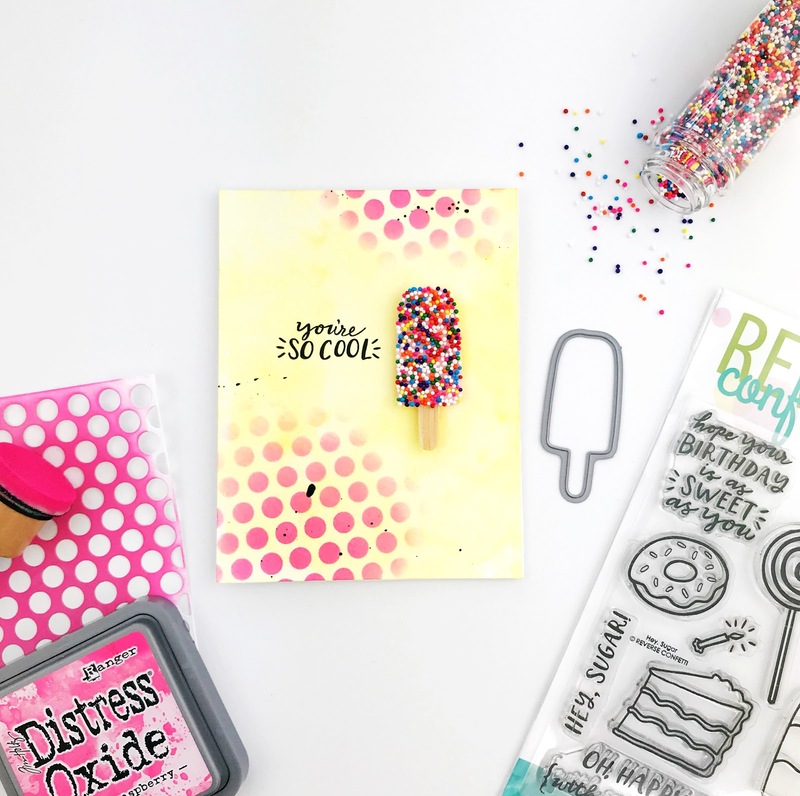 To create my sprinkled treat, I die cut 3 layers with the popiscle...pink cardstock, adhesive woodgrain paper and double-sided adhesive. 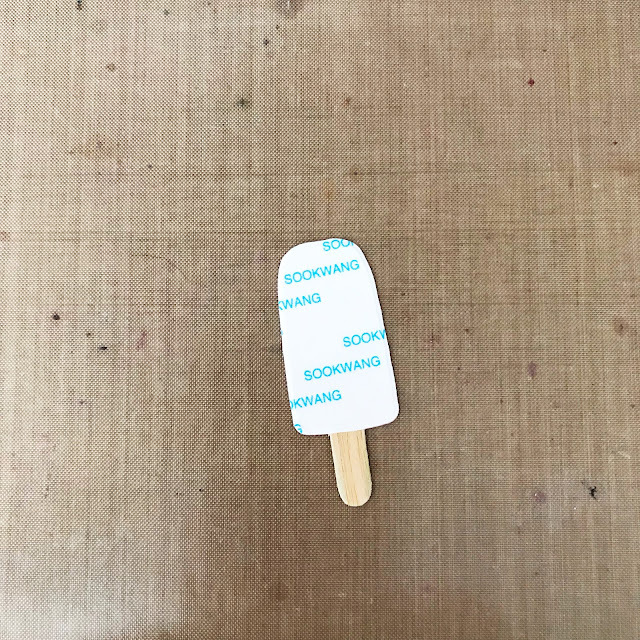 Then I trimmed and layered the popiscles, woodgrain & double-sided adhesive on top of cardstock. 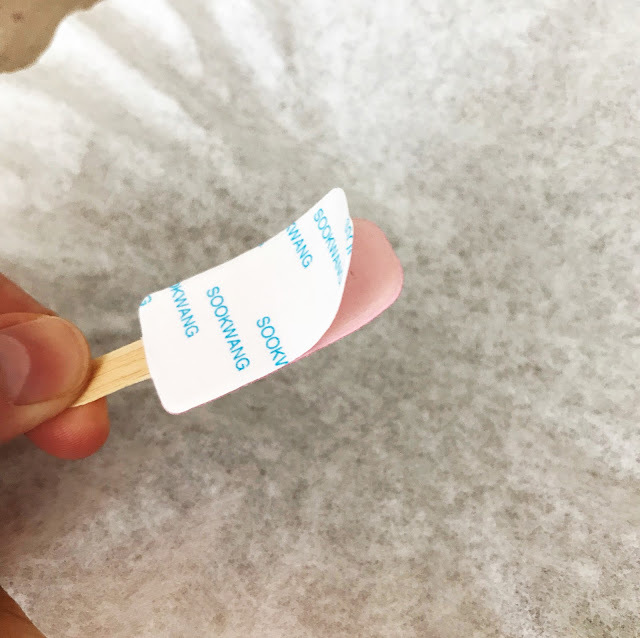 I removed the second liner paper from the double-sided adhesive and added sprinkles! What do you think? I might have gone a little overboard with the black splatter at the end but I still love it! Now hop on over to Laurie's blog and here's the full list if you get lost! Carly! I LOVE this, sooooooo SWEET!